Pinterest is officially the most inspiring website ever created and I love getting friends addicted to the madness. 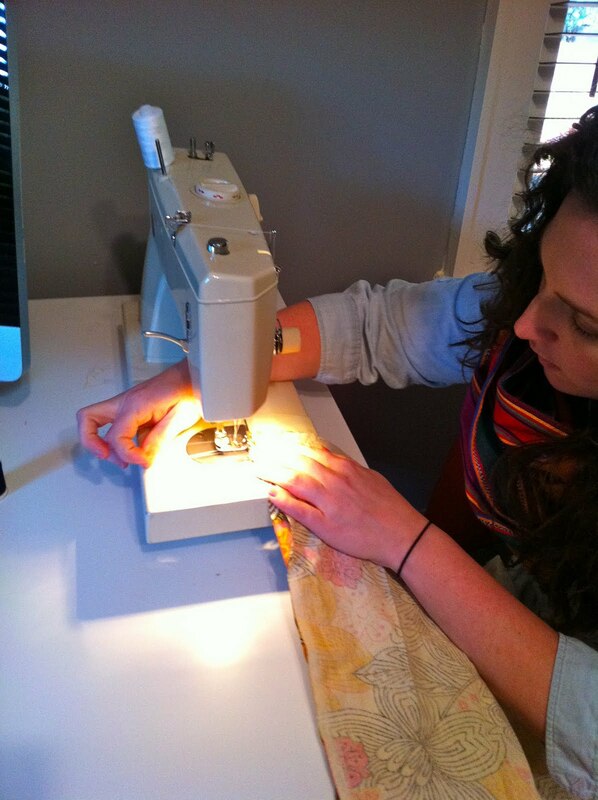 A couple of pins inspired Stephanie and I to spend the day making infinity scarves. So simple! All you need is 1.5-2 yards of fabric (roughly 36 inches by 70 inches) but we experimented with bigger and smaller pieces to see what we liked best. After experimenting, we decided we liked the bigger the better! Cut your fabric to the desired size and sew (right sides facing eachother) the long width of your fabric. 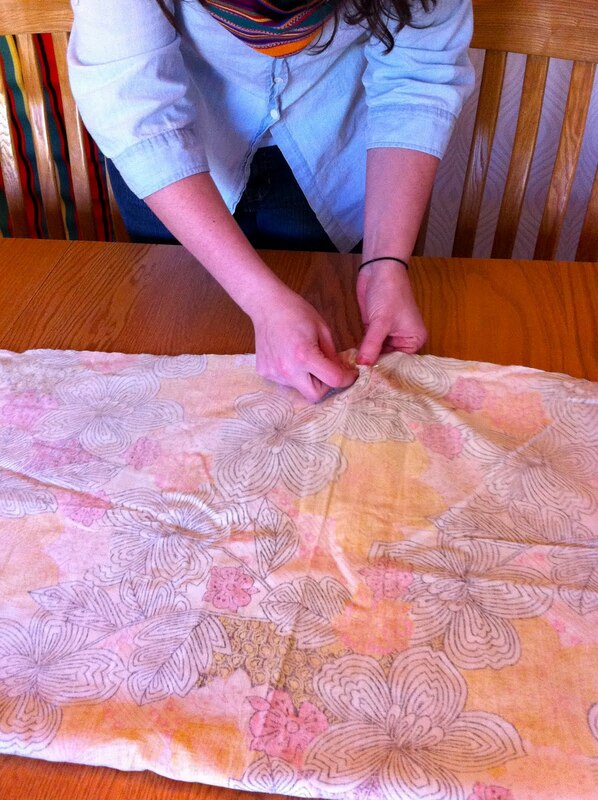 Next, fold inside out (right fabric facing outside) and sew together the short ends and cut excess fabric close to seam. Ta-Da! It's that easy. 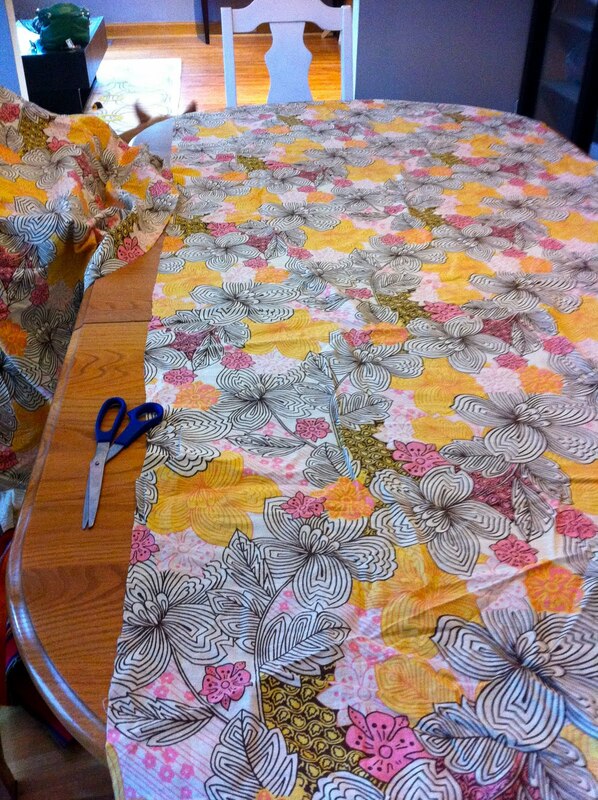 The hardest part is picking out the next fabric.